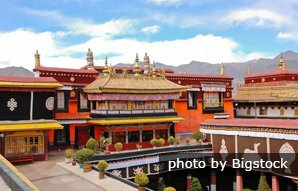 Lhasa (elevation 3,550 meters (11,600 ft)) is ideal for tourists to the region to acclimate in, because it is in a lower elevation valley in the warmer and wetter southeastern part of the region. 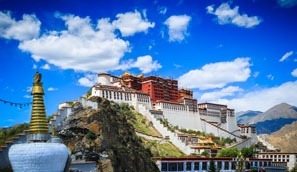 The annual precipitation in Lhasa is relatively high for Tibet at 500 millimeters (20 inches), as the annual precipitation across the region averages around 200 millimeters (4 and 12 inches). Due to the high evaluation, Tibet has a quite different seasons from other places with a longer winter. 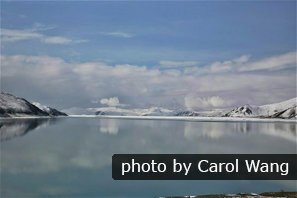 The ice melts and the weather warms during spring, opening up blocked remote roads and making travel outside Lhasa more pleasant. 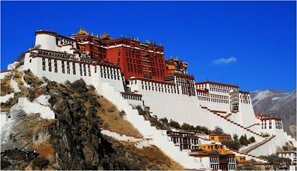 Tibet reopens to tourism in early April (as it is usually closed to visitors in March for Tibetan New Year). Book a Tibet tour before the summer tourist crowds arrive. 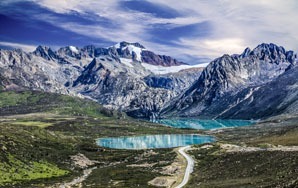 Things to do: Summer is the time to travel to the various attractions in the remoter regions, and enjoy the high altitude sites when the mountain passes are snow free. It is also the time to hike. Activities: Tibetans hold their outdoor market fairs and encampments, festivals, and sports contests when the grasslands are at their lushest. 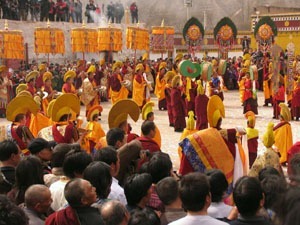 Festivals of note include the Ganden Thangka Festival, the Shoton Festival, and the Nagqu Horse Racing Festival. Also a busy travel season in Tibet, the weather is clear and cool in fall. It&apos;s a good time to hike and trek in Tibet, and it&apos;s also a good time to shoot photos of mountain peaks, due to less cloud. 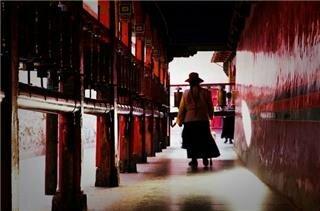 Tibet is usually closed to foreign travelers in February and March for 5 or 6 weeks. Tibet Entry Permits are normally not issued for February and March. Some roads are closed due to the heavy snow. Except for the coldness, it&apos;s a good time to travel to lower altitude places like Lhasa, as hotels and travel agencies may offer discounts during winter, and tourists are far fewer than in summer and fall. From May to October is the best time to travel in Tibet, when the weather is not very cold, averaging above 10°C. This is naturally the busiest travel time in Tibet, when people come for the warmer weather and higher oxygen content. July and August is the rainy seasonin Tibet, though, apart from in the southeast, there is still not a lot of rain. The best months for camping are May and September when it hardly rains at all. If you plan to travel to Mt. 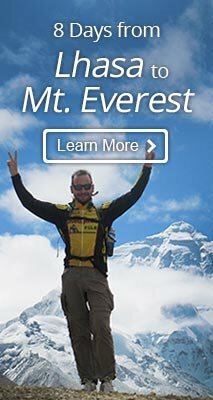 Everest, travel in April, May, September, or October, when you are more likely to see the peak clearly. It is more likely to be hidden behind thick clouds the rest of the year. Travelers who are interested in Tibetan festivals are recommended to visit Tibet in August when the Shoton Festival, Nagqu Horse Racing Festival, and Ganden Thangka Festival are held. But expect to see huge crowds during the festivals. Late September to October is the best time to see autumnal colors in Tibet. 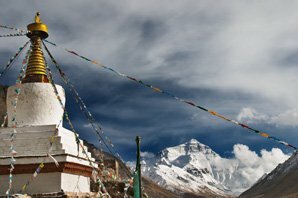 We have more Tibet tours, or we could create your own individual journey. Just tell us your interests and requirements, and we will tailor-make you a Tibet tour. For more detailed information on what to expect each month weather-wise, and recommendations on what to do, see below.